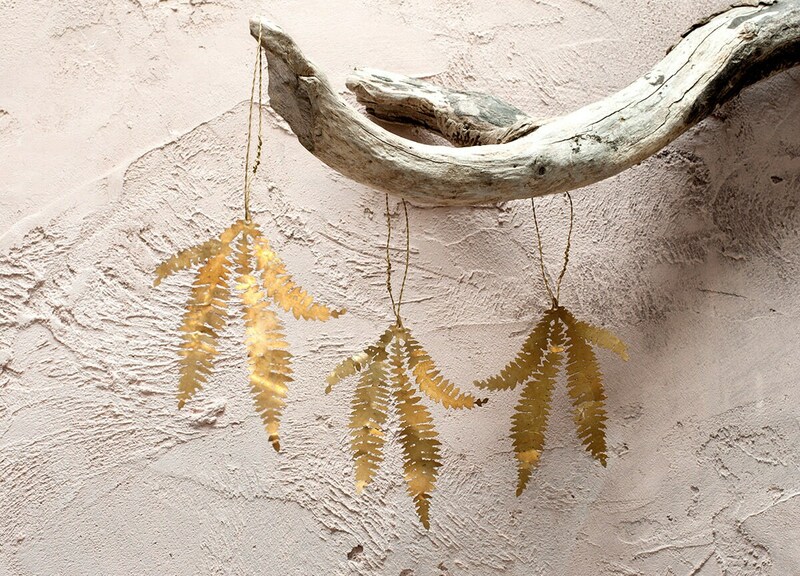 Hanging fern decoration, made from brass. 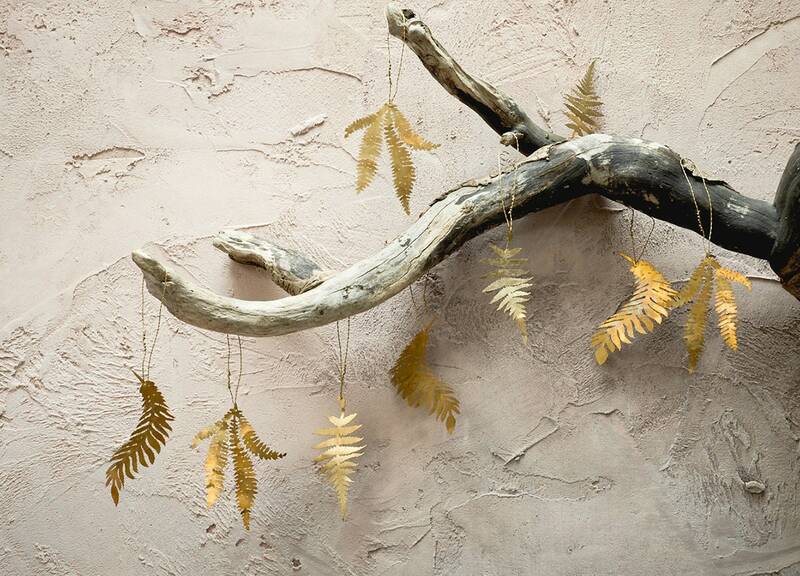 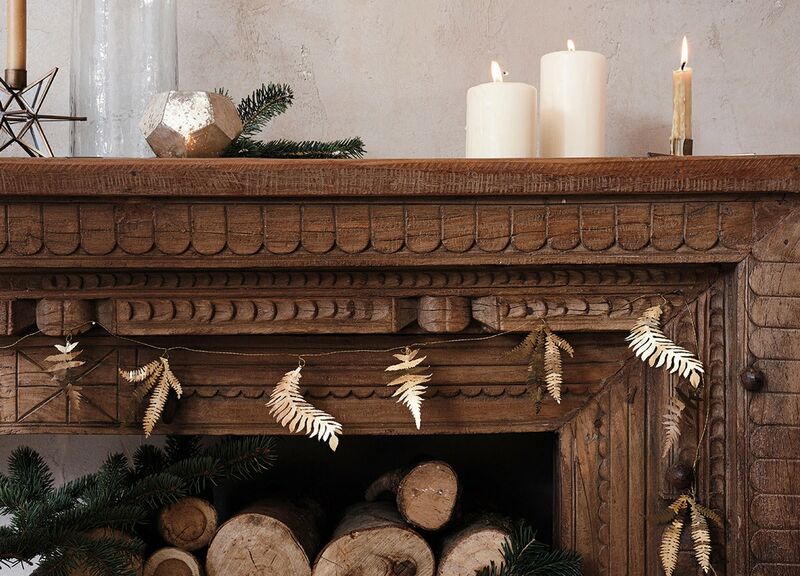 Perfect for hanging on your tree, garland wreath or even along a branch, should you not have room for a tree. 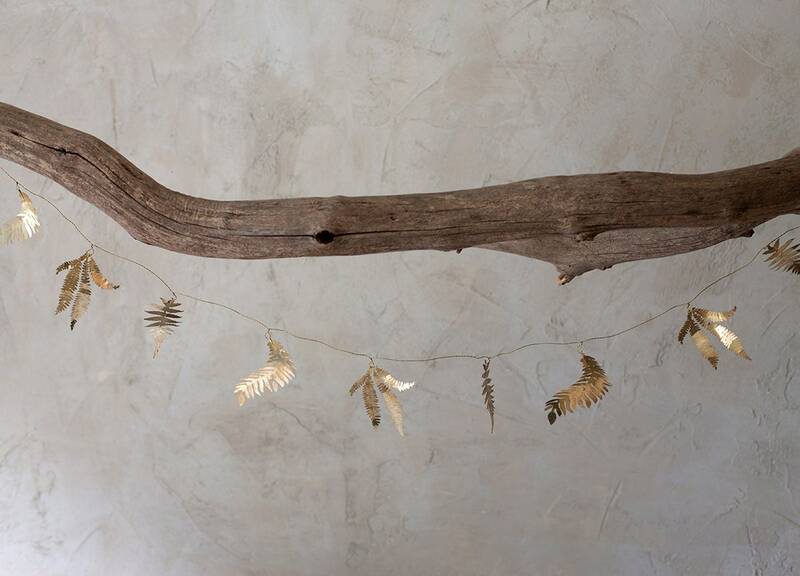 Please also see our listing for larger brass leaves. 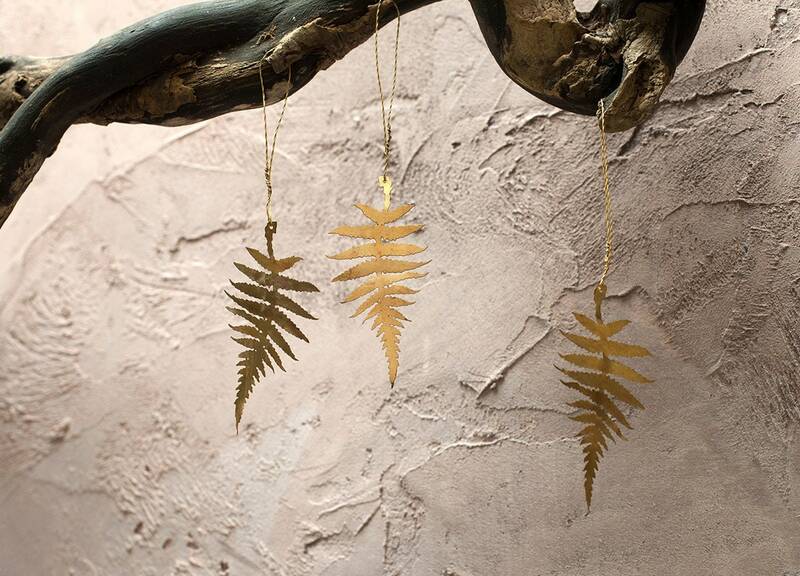 Measures 8cm, price is for a set of 3, which come in a cardboard envelope for safe storage.